Pan Peninsula is the most desirable high rise luxury development in the heart of Canary Wharf adding to the glamour of this fast expanding London area by the Thames. 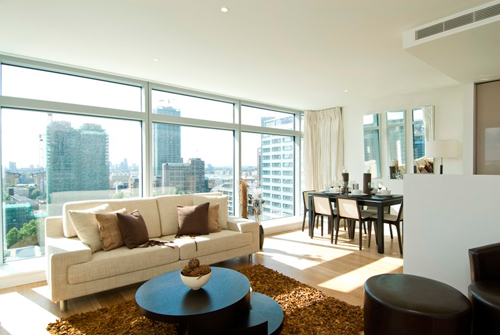 This is an outstanding riverside development consisting of two buildings (East and West tower) offering over 800 studio, 1, 2 and 3 bedroom apartments mostly with breathtaking views of Canary Wharf and Docklands. 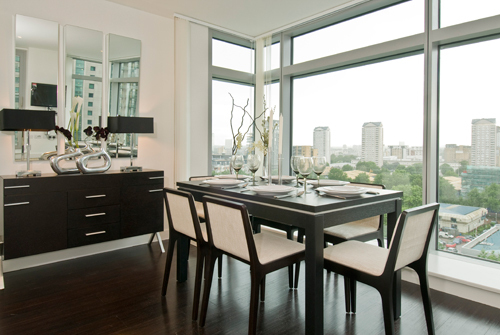 Almost all apartments have been interior designed and furnished for ultimate comfort with fixtures and fittings of a very high standard including custom built kitchens and floor to ceiling windows. Pan Peninsula tenants enjoy unparalleled city living with many sophisticated on-site facilities including, 24-hr concierge, a business centre, private cinema, signature restaurant, roof garden, 50th floor cocktail bar and a lavishly equipped health spa and fitness complex. Once primarily a business location Canary Wharf has been transformed into an area with attractive mix of services, shopping and cultural contents for a growing number of loyal residents. Very popular with both Canary Wharf and City workers for its excellent transport links , Pan Peninsula is very close to South Quay DLR Station and the main Canary Wharf Jubilee Line Station. Bright open plan receptions with large double glazed floor to ceiling windows and balconies designed to maximize light and views of the are. Custom designed fully kitchens with high quality modern appliances. 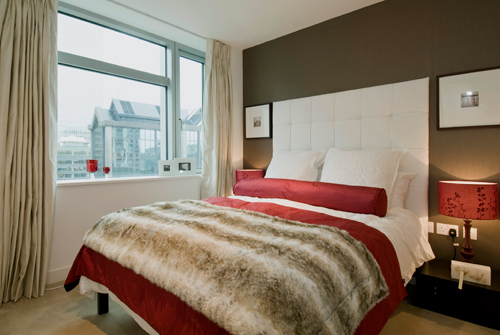 Well proportioned bedrooms with built-in wardrobes. 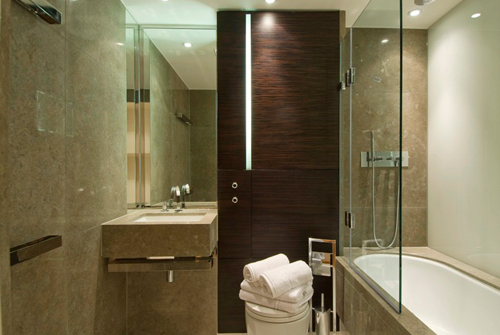 Smart bathrooms with power showers. We are currently offering for rental a selection of studio, 1, 2 and 3 bedroom apartments and penthouses, furnished to the highest standard in contemporary style. One Bed Apartment from £375 per week. Two Bed Apartments from £550 per week.